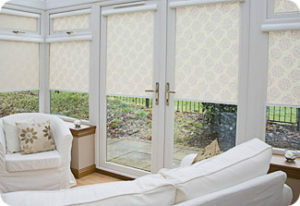 Designed in the UK INTU is the most flexible and innovative blind system available. It integrates into all modern windows and doors. INTU blinds can be used in the home or business and makes conservatories look even better. Roller blinds, Venetian blinds and pleated blinds are all available in the INTU blinds system. They are also the safest blind available since they don’t have any cords or loops which are the most common cause of injury.